The two main Irish banks are probably strong enough to survive the kind of economic downturn associated with a hard Brexit. The Central Bank says stress tests carried out on European Banks show both AIB and Bank of Ireland would have sufficient capital in the severe recession scenario used in the tests. The tests by the European Banking Authority were applied to 48 EU banks, covering 70% of total EU banking assets. They simulate the impact on a bank's capital structure of a severe economic downturn, including a 30% fall in house prices, a 3% point rise in unemployment and a 3% point fall in GDP. Banking analysts had said banks ending up with an equity ratio of 5.5% of lower would have to raise more equity or sell off risky assets. Neither of the Irish banks came close to this level, with AIB ending up with a "fully loaded" CET1 ratio of 11.9% under the stress scenario, and Bank of Ireland coming out at 8.9%. British banks Barclays and Lloyds fared badly, as did Italian bank BPM. Barclays ended with a Common Equity Tier 1 ratio of 6.37%, Banco BPM with 6.67%, and Lloyds with 6.8%. 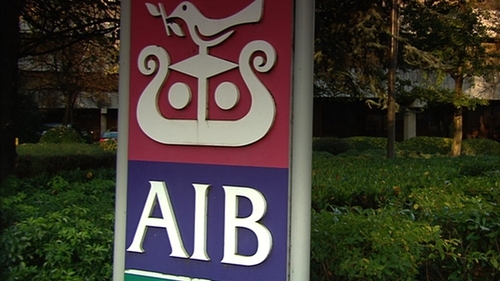 Mary-Elizabeth McMunn, Director of Credit Institutions Supervision at the Central Bank said: "The results show that both AIB and Bank of Ireland are projected to have sufficient capital in the adverse scenario - helped significantly by each bank building up capital buffers in recent years. "While challenges remain, the ability of both banks to withstand shocks has improved compared to the last EU-wide stress test performed two years ago, with lower capital depletion and higher capital ratios in this year's exercise." Mark Bourke, AIB's Chief Financial Officer said: "Our result of 11.8% fully loaded CET1 in the adverse scenario demonstrates our high capital base and resilience. "With a fully loaded CET1 of 17.9% in September 2018, continued reduction in NPEs and a growing loan book, the balance sheet continues to strengthen and risk profile improves." In a statement Bank of Ireland said: "The group's capital position is strong and the group continues to organically generate capital. At the end of September 2018, the group's fully loaded CET1 ratio was 13.5% and the group's regulatory CET1 ratio was 15.1%." The scenario used in this year's stress test was the most severe yet applied, and has similarities to some adverse Brexit scenarios. There was no pass or fail mark in the test, it simply yields a vast amount of data on each bank, with the EBA tonight publishing some 17,200 data points on each of the 48 banks surveyed.